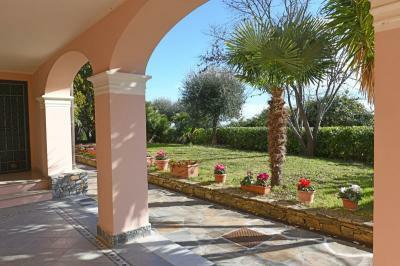 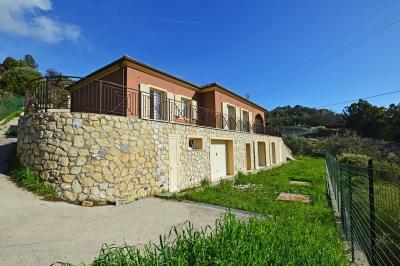 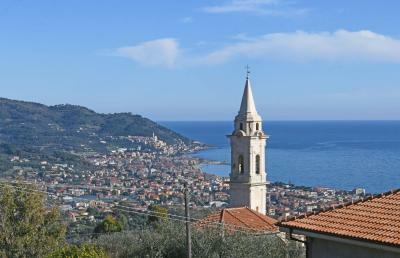 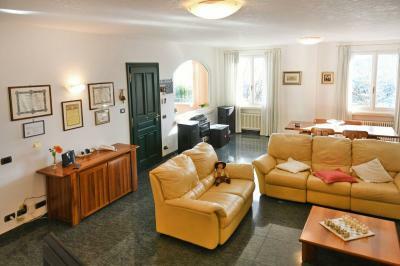 Villa for Sale in Diano Marina. 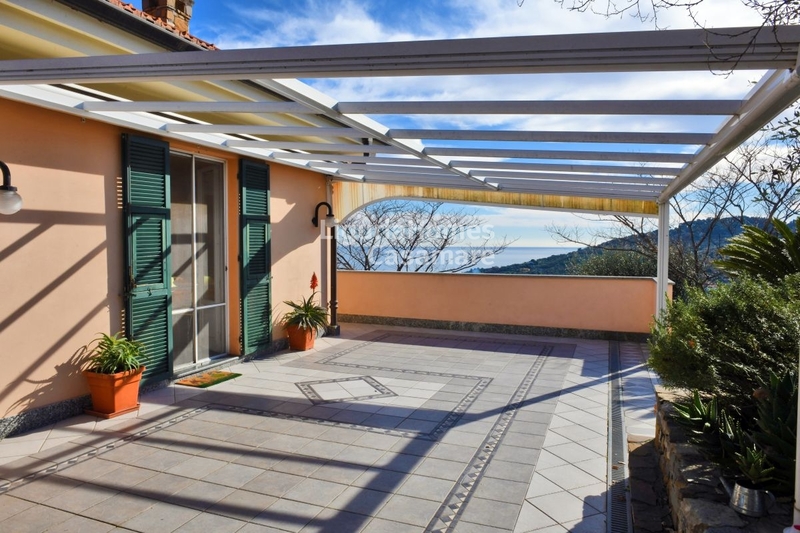 Located in a dominant and sunny position, with an awesome view of the sea and the Gulf of Diano Marina, wonderful Villa for Sale. The Villa for Sale is easily reachable from Diano Marina and Imperia; a driveway in perfect condition leads to the large garage that can accommodate several cars; the first part of the outside area is characterized by a flower garden while the remaining part of the garden, composed of large bands, with wonderful panoramic view, it's perfect for a large swimming pool. 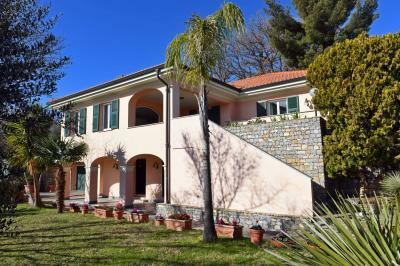 The Villa for Sale in Diano Marina can be a single property but also as semi-detached Villa that can easily accommodate two families. 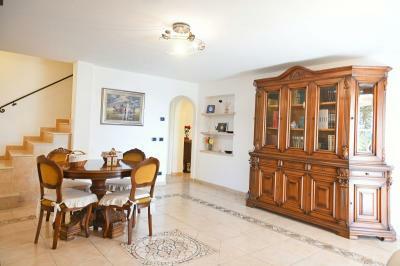 The property offers large spaces well refined by local artisans. In the Villa for Sale in Diano Marina we find 2 living rooms, one with fireplace, a separate kitchen, 6 bedrooms, 4 bathrooms as well as various hallways, service areas, large panoramic terraces and impressive porticoed areas. 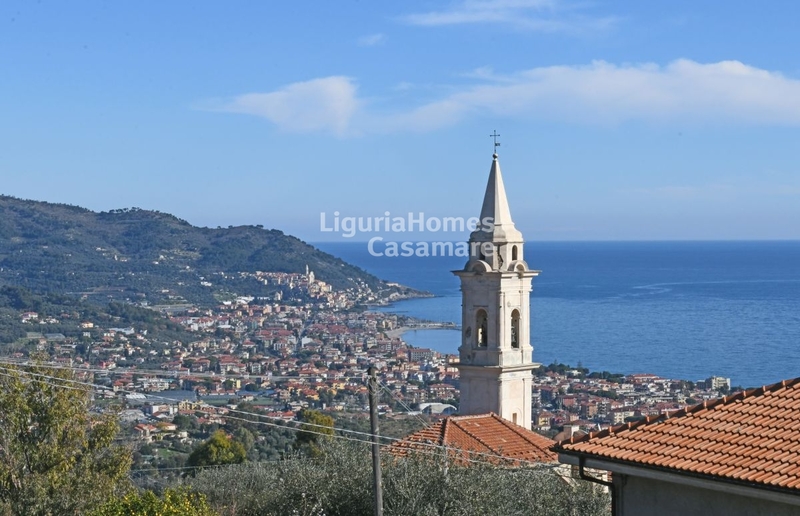 The garret also offers further possibilities of development in terms of surface that also increases, among other things, the possibilities of business, already started in the past, thanks to its several sleeping areas. 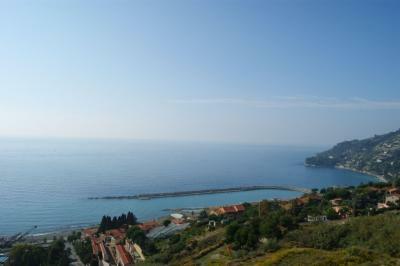 The Villa for Sale in Diano Marina, in the picturesque Village of Diano Gorleri, is a rare property on the market thanks to its fine quality and its elegant style, its enchanting location close to the sea, for the privacy and for its incredible panoramic view of the famous Golfo Dianese, one of the most beautiful in Liguria. 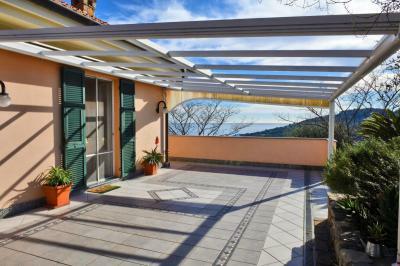 The Villa for Sale in Diano Marina is also perfect to enjoy the unique beautiness of this region and to taste the true Italian life style.